Hyundai Motor showcased the latest iteration of the Hyundai H-1 Deluxe at the recently conducted Thai Motor Expo 2018. Showcased in its top-spec trim, the large MPV is on sale for THB 1.329-1.729 million (INR 28.63-38.60 lakh). 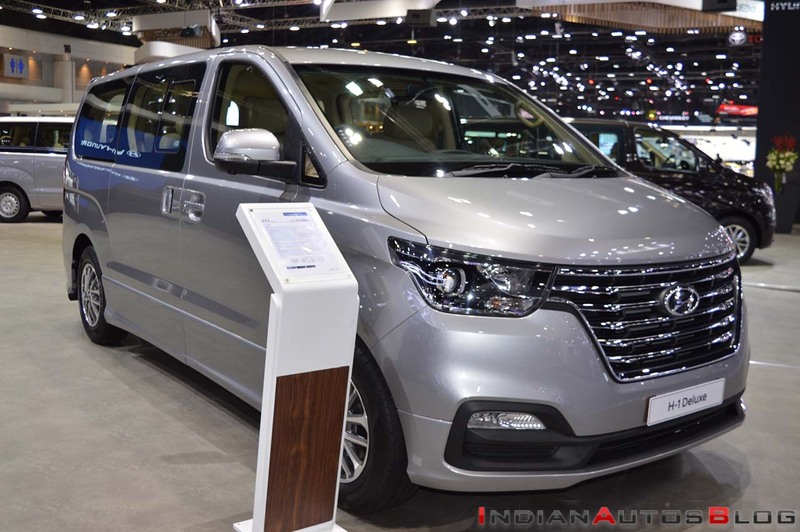 The 2018 Hyundai H-1 range features an updated styling package which brings the fascia of the people-mover in line with the company's latest aesthetic theme. The 2018 Hyundai H-1 range was launched in Thailand in August and comes with revised styling and a richer equipment list. The most significant cosmetic changes take place up front, where the revised model features a more prominent grille with thick chrome slats, a sleeker pair of headlamps, and an updated bumper. Other exterior alterations include a set of new alloy wheels, new ORVMs, and new taillights that feature LED fixtures. 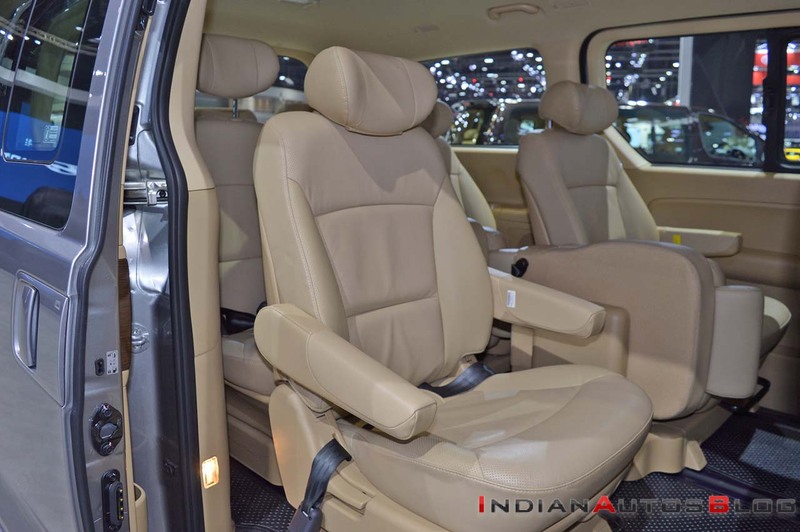 The interior now comes equipped with butterfly-type headrests, which not only offer enhanced comfort but come in handy in case the occupants wish to rest. The Hyundai H-1 Deluxe features a six-speaker audio system with an 8-inch touchscreen DVD player, WiFi, satellite navigation, Apple CarPlay, Smart View 360-degree camera system, and a roof-mounted Full HD 13.3-inch screen for occupants. Other features include auto headlamps, electric sliding rear doors, cruise control, auto-dimming inside rearview mirror (IRVM), folding key fob, and puddle lamps. The 2018 Hyundai H-1 measures 5,125 mm in length, 1,920 mm in width and 1,925 mm in height, and has a wheelbase of 3,200 mm. Powering the MPV is the D4CB 2.5-litre, four-cylinder 16 Valves CRDi diesel engine that benefits from a variable geometry turbo and comes mated to a 5-speed automatic transmission that drives the rear wheels. The powertrain offers a maximum power of 175 hp at 3,600 rpm along with a peak torque of 441 Nm between 2,000 rpm and 2,250 rpm. On the inside, the top-spec 2018 Hyundai H-1 Deluxe features butterfly-type headrests that not only enhance the comfort level offered by the seat but also come in handy in case the occupant wishes to sleep. The Thai-spec 2018 Hyundai H-1 is available in three configurations: Touring, Elite and Deluxe. The people-mover can be ordered with up to 11 seats. The H-1 is a management team ferry for HMIL, and the company has no interest currently to bring it to the market.